Today’s post is going to be a first impression of the new concealer I recently picked up by Maybelline. I was super excited to try this out because I had heard so many good reviews about this product. 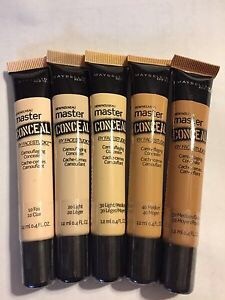 My first thoughts on this concealer?? I love it. I like how thin and light weight this is and I love how easy it is to blend. This concealer is super creamy and very blendable. The only thing I do not like about this procuct is that there is nothing to apply the concealer with since it comes in a tube. Besides me not likeing to apply concealer with my fingers I do over all love this product for a cream highlighter. If you are hunting for a new cream highlighter, I would strongly recommend this one since it is high quality and affordable. I hope everyone is doing well. 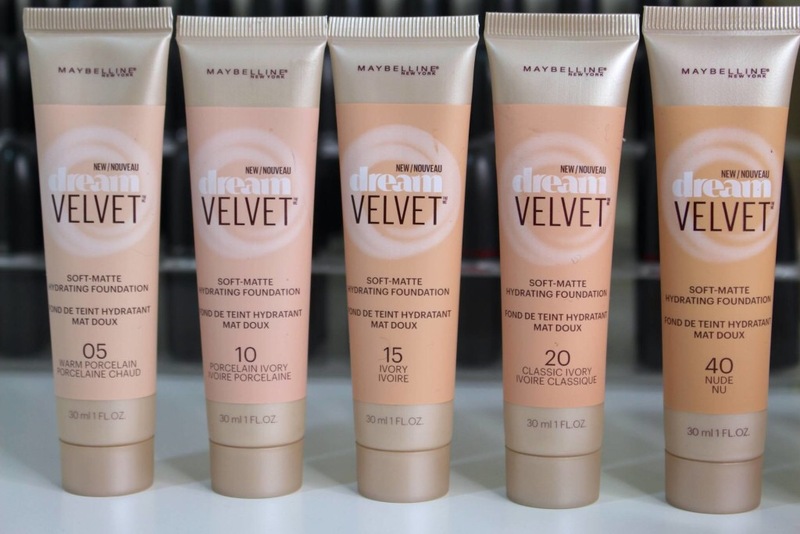 So I recently picked up the new (well newerish) maybelline dream velvet foundation since I had heard great reviews, and decided to try it out. After my first use I have decided that I have mixed feelings for this foundation. When I applied this, it had a very thick consistancy. It was almost paste like leaving me to feel like the foundation was not light weight at all. It did take a while to blend but I liked that when I applied it, the foundation did not set right away allowing me time to blend it out fully. With the foundation being very thick, it was full coverage and I love that in my foundations. Though it was thick, the foundation did not make my face look cakey (which is always a plus.) After wearing it for a day, I loved how long it has lasted and it did not budge at all. Overall I am not sure if I love this foundation yet. Personaly, I feel that this would be a foundation used during the winter since it is so thick. I would recommend this for people who have oily or combination skin since it does stay matte all day. Hope this review was helpful. Hey Everyone! I recently got a new order from Morphe and decided to play with the 35k palette today since I had to take senior pictures. So I thought it would be helpful to film the look I was doing since it was specifically geared for posing in pictures. Hope this is helpful. So in today’s post I decided that I want to compare the difference between the different contour kits created by ABH and Kat Von D. As you know in previous reviews of both of these palettes, I love them both. And if asked, I would probably recommend both. Now that I have used both to almost death, I have decided to compare the two for you all. This post might be helpful if you are looking at both and are not able to quite choose which one you want to purchase. I am going to start by reviewing the palette by ABH. Let me just start by saying that this palette is great. There are many different shades for the highlight and contour colors perfect for any skin tone. I like this palette because of how easy the colors are able to blend and how some of the contour colors are also good to use as a bronzer. With this being said, it is my opinion that this palette is better for beginer use since it is easy to blend. This palette is also great if you are heavy handed when applying a bronzy glow or even your contour since the pigments glide on easily. Now for the shade n light palette. I love this one a little more than the ABH kit because the colors are a little more lighter and pigmented. I feel that this palette is made for people who have a little more expierence with applying their makeup since the colors have a deeper pigmentation and a bit harder to blend in comparing to the ABH kit. Overall I love both of these palettes, but I feel that the ABH palette is less pigmented but easier to blend than the shade n light palette. I do like the shade n light palette better than ABH because of the pigmentation though it is harder to blend. I hope this was helpful. I had to change the intro since I was getting a little bored with the typical “hey everyone” in all of my posts. I hope everyone’s summer has had a great start. Mine has not been so fabulous since there has been nothing but rain for the past few weeks. 😦 I want to apologize for the lack of posts since the end of school has been just a little insane, but since summer is now here, I have all the time in the world to share my tutorials, tips and tricks, and impressions on new beauty products when I am able to get my hands on a new product! Today’s post is going to be a review on a product that has become a daily life saver for my slight obsession with contouring. Now that summer is here, it is time to go super bronze glow and a strong contour/highlight! If you are looking for a product that is capable of doing all of this in one palette, the shade n light palette is the palette for you. I am in LOVE with this product since it is so versatile and can be worn by anyone in any type of look. It is super pigmented so a little, really does go a long long way! The pigment applies smoothly and doesn’t allow your concealer to crease at all. Now that I have all of the general greatness explained, I’m ready to get into the juicy details about the amazing contour colors in the palette! Let me start by saying that I am in love with these three shades! They are dark, pigmented, and very easy to blend (assuming you start with a little and build up, because otherwise they are a beast to blend.) The pigment in the colors are very neutral but also have enough tint to be used as a contour shade and a bronzer. This makes it the perfect product for any needs. The highlights found in the palette come in the same three shades as any other highlight palettes but they hold their own type of sheen. Not like a shimmer but they are much lighter than any other product which is a good thing since it is used to brighten up the under eye and the center of the face. Combine a top highlight and a bottom contour shade and you can transform into what ever you want to be. 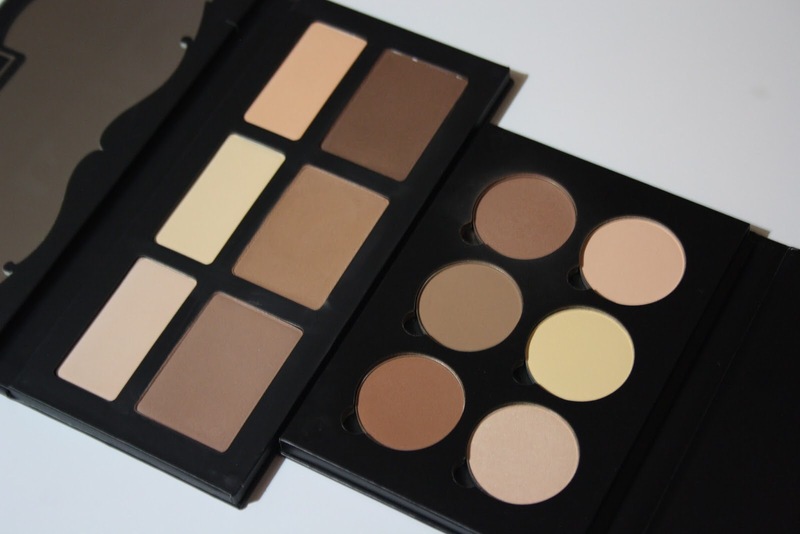 If you are hunting for a contour kit this is the one for you! I hope this review was helpful and I have a Summer Look Coming Soon!! !